A fire in a mission critical facility, such as an IT&T facility, can be devastating. Effective business continuity management requires an intelligent fire protection system. 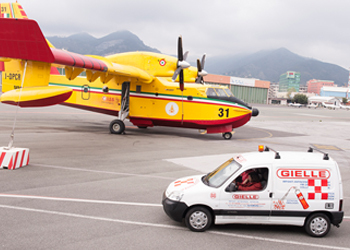 Gielle ‘s systems are among the most advanced fire protection solutions in the world, trusted by some of the largest data-dependent organisations in World and the Pacific. In an IT&T environment, we survey the building taking special note of the location of key equipment, where personnel are located and the tasks they complete, the air-conditioning flow, cable routes and the position of windows, doorways and stairwells. We then design a system to provide effective protection whilst meeting or exceeding relevant Standards. We combine traditional and advanced technologies to develop fire protection regimes which deliver a risk/cost balance suitable to your operations. We can often install some of our advanced systems into an older facility. This can lower your protection costs while raising your confidence in your fire safety systems. 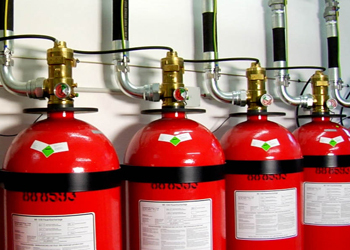 Gielle are specialists at installing fire detection and suppression systems and our project teams are capable of handling projects of any size. We understand in some cases you cannot interrupt your IT capabilities to install protection systems, and so we have developed ways of working safely around sensitive equipment. Novec is a fire suppression system specially designed for use in areas that house sensitive equipment that cannot be shut down. Novec is designed not to conduct electricity, be non-corrosive, minimise the risk of damage to sensitive equipment and leaves no residue and requires no clean-up. 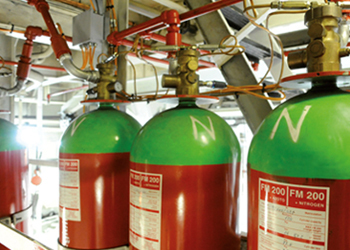 For more information please visit our Novec Fire Suppression System section. Novec agent is also available in a non-magnetic stainless steel fire extinguisher, ideal for smaller applications. For more information please visit our Novec MRI Extinguisher section.